The Government of the United States of America has gone to extraordinary lengths to recover the remains of those missing in action from the war in Southeast Asia. This is the story of one such on-going search, an effort in which I personally have been involved. Click here for more on America's ongoing efforts to recover MIA's from all wars since World War II. On June 9th, 1968, a Marine A4E Skyhawk, callsign Hellborn 215, was shot down while bombing NVA forces in the heavily defended Base Area 611 at the north end of the A Shau Valley in South Vietnam. A large SAR effort was mounted to rescue the pilot, 1st Lt. Walter R. Schmidt, Jr., USMC, who had landed along a major branch of the Ho Chi Minh Trail near the Laos-Vietnam border. After extensive bombing to silence the enemy ground fire, an HH-3E Jolly Green Giant helicopter moved in to attempt a pickup. This helicopter, Jolly Green 22, made two attempts to reach the survivor but was driven off by heavy ground fire each time. After each attempt, more ordnance was expended on the surrounding areas in an effort to suppress this ground fire. Jolly Green 22 finally was forced to abort its efforts due to low fuel. 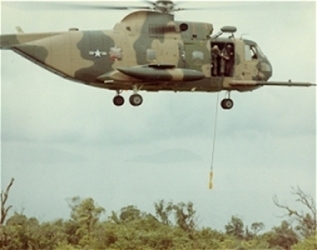 Following additional suppression efforts, a second helicopter, Jolly Green 23, moved in to attempt a pickup. After entering a hover and beginning to lower a parajumper to assist the injured survivor, JG23 came under intense ground fire. 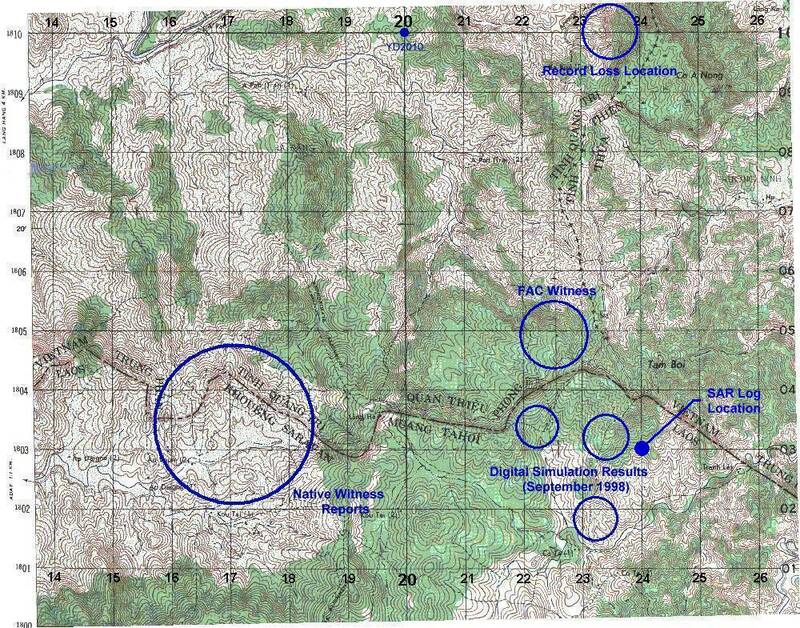 As related by the supporting FAC, Trail 33, the left engine of the helicopter erupted in flames, and the pilot reported he was pulling off and attempting to reach a clearing approximately one kilometer north of the rescue site. As JG23 approached the clearing, the rotor noticeably slowed and the helicopter impacted the ground. The aircraft was totally engulfed in flame. It was apparent there could be no survivors from this crash. Their remains were not recovered. declassified mission reports on this incident. * Lieutenant Rittichier was on an exchange tour with the USAF 37th Air Rescue and Recovery Squadron. He was the first Coast Guardsman killed in action in Southeast Asia.